Hope you are all doing well. Today's post is all about comfort while remaining chic. You all know I love a good pair of heels but when it comes to being comfortable I am very picky and resilient about what I choose to wear. There are days such as errands days, grocery store runs, quick grab and go, that I fully appreciate and need my ultimate comfort, and I love wearing Cuddl Duds pieces that does just that for me. Saturdays are my errands days and my grocery store is conveniently located next to a Kohl's which is perfect because I can easily run into Kohl's, head to the intimate section, and grab myself a piece of Cuddl Duds layers or a full outfit like I am wearing here. I love wearing them because they are soft, light, and extremely comfortable. It's as if you are clothed in your own skin. The eas and comfort of Cuddl Duds is simply amazing. I'm all about my comfort, even at home enjoying a hot cup of coffee, I still wear my Cudl Duds. These socks are super soft, warm, and filled with cushion. 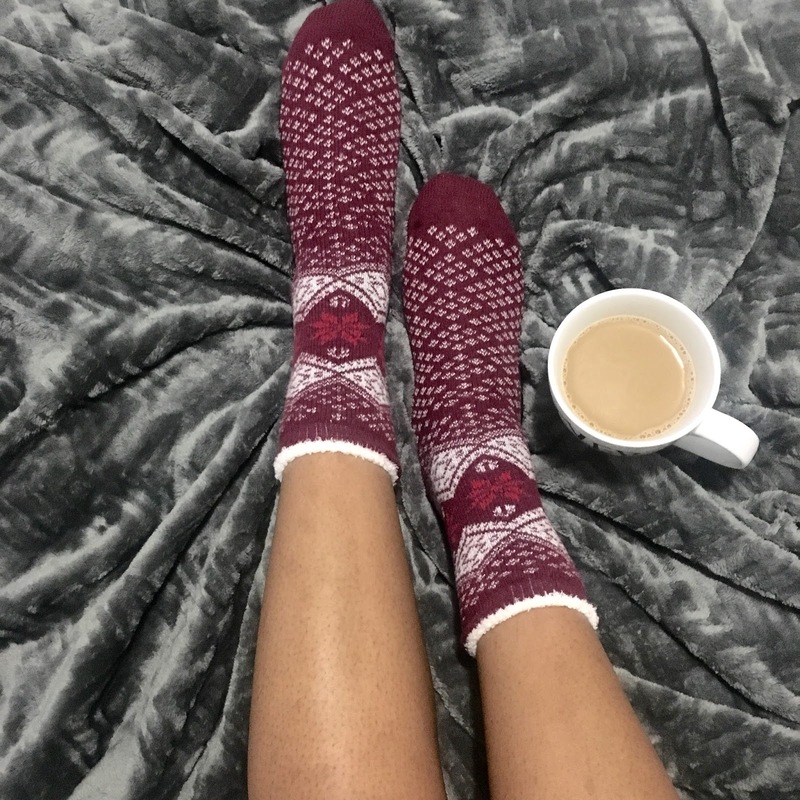 They are perfect for the season. I even purchased a few extras to extend as gifts for the upcoming holidays. I had to make a quick stop on my way to the farmers market and took some shots to share with you all. I'm at maximum comfort, maximum confidence, and I still look chic. These pieces are also perfect layers for those of you living in cold temperatures. They are so light they will easily camouflage under your clothing. I suggest you head to Kohl's right now and #GoComfy. Let me know how you like your new Cuddl Duds pieces. I have a feeling you will not be able to get out of them. Oh my...enjoyed learning about the Cuddl Duds...have to go and shop around in Kohl's more often.